Your teacher training session is just around the corner, and you're staring at a list of volunteers—a mixture of people from various backgrounds. You have Rookies, Veterans, and Experts with a wide range of abilities and teaching experiences. How can you possibly meet all their needs? Identify which category your volunteers fall into, and then customize training to meet their unique needs. Rather than having individual meetings for Rookies, Veterans, and Experts, sprinkle in a variety to meet all their needs. The following ideas will help you understand your volunteers and provide them with the basic skills needed for each experience level. Your new teachers and assistants come to training with preconceived ideas about what's going to take place in their classrooms. They're either eager to pitch in and make a difference—or terrified at the possibility of being asked to pitch in and make a difference! This is your opportunity to set their minds at ease, inform them about the basic ins and outs of their responsibilities, and let them know what's really going to take place in their classrooms. Relationships—Introduce all new teachers to your team. Let your Rookies know that they're a welcome, valuable part of your team. Present each new teacher with a tote bag of supplies or a tub of materials as a welcome gift. Intentionally plug Rookies into relationships with Veterans and Experts by having them pair up for discussion and prayer times. Mission Statement—Provide Rookies with the written mission statement for your ministry. Let them know that accomplishing this mission will be their motivation for all that takes place in their classrooms. Job Descriptions—Develop job descriptions for the different positions within your ministry. By the way, these can be one paragraph long. Give each Rookie the appropriate job description. 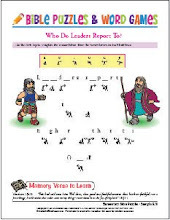 Age-Level Characterisics—Provide age-specific information for the grade level each Rookie ministers to. Curriculum—Review the curriculum you've chosen with your Rookies, focusing on each component of the lesson. Consider having a mock classroom to demonstrate teaching a lesson. (Your Experts can even teach this.) Include a suggested schedule that'll also be posted in the classroom as a backup reminder to keep things moving in class. Safety—Review safety procedures and administrative policies regarding finding substitutes, chain of command, discipline methods, and confidentiality agreements. Supplies—Tell Rookies about your resource area. Discuss your system for checking out resources, purchasing supplies, and adhering to classroom budgets. Partners—Pair Rookies with Veterans or Experts in classrooms. Have partners evaluate the teaching sessions in four-week intervals. Encourage teaching teams to pray together for the children in their classes as well as for each other. With one year in children's ministry under their belts, your Veterans can be a valuable resource. They've learned by trial and error how to run a classroom and have experienced success in making curriculum and schedules work. It's time to take your Veterans to a deeper level and further develop their skills and interests to make an even greater impact on children. Mission Statement Review—Keep your mission statement and policies in front of your Veterans. Everyone needs a "refresher course" on these topics. Job Description—Have your Veterans review their job descriptions to see if they've been taking on too much or if there are responsibilities they've let slip through the cracks. Skill Development—Help Veterans pinpoint their "specialties" so you can help further develop those skills. Provide training from guest speakers or team members on worship, prayer, Bible teaching, and creativity geared toward children. Growth Plan—Have Veterans identify personal areas for improvement. Connect your Veterans with other volunteers who have strengths in these areas. Deeper Training—Provide in-depth training on teaching skills and understanding the needs of children. Discuss learning styles, involving the five senses in lessons, delegating responsibilities, in-home visitation, and outreach projects. Veteran Stories—Have your Veterans share testimonials with Rookies about what they learned during their first year in the classroom. Use their enthusiasm to make announcements to the congregation about children's events and recruiting needs. Volunteers who've put in five or more years of service are unique in their own way. They've gained a great deal of experience in the classroom and have seen their assistants and other teachers come and go. They may've begun teaching out of guilt or just to fill a slot, but they've found a reason to stay. Your best way to provide continuing training for your Experts is to find out why they've stayed in the game and maximize on their desires. Show respect for the years of service your Experts have given to children's ministry. Help them stretch beyond their experiences by introducing them to new resources and strategies for ministry. Ministry Reminders—Remind your Experts of nuts and bolts of your ministry, such as your mission statement, administrative policies, and procedures. Provide Experts with age-level characteristics, curriculum overviews, and administrative policies annually. Go over any changes to curriculum, schedules, classroom assignments, or teaching teams on paper and in person. Ask for Experts' feedback the first week after any changes have been implemented. New job Descriptions—Have your Experts create or edit their job descriptions to fairly represent all they're doing. This will provide affirmation about the impact they're making on children. It'll also give them an opportunity for personal evaluation in areas where they may've started "coasting" through the preparation process out of familiarity with the curriculum or children. Personal Touch—Spend one-on-one time with your Experts outside of your regular training sessions. Ask for their input on special events and additional programs for your ministry. Train them to handle responsibilities in these areas with less involvement from you. Ask these volunteers to tell you what's working in their classrooms. Affirm them for the work they're doing and ask how you can help. What areas of development would your Experts like to explore? Just ask them. Have them suggest possible topics to cover in future training sessions, and see if they'd be willing to serve on a question-and-answer panel or teach about a topic they've suggested. Extended Training—Pay for your Experts to receive training at national and regional conferences where they can choose the seminars they want to attend. Have them report what they learn to your Rookies and Veterans. Leadership Development—Help your Experts recognize their opportunity to make contributions to the teachers with whom they teach as well as the children in their classes. Pair these teachers with Rookies and Veterans. Your volunteers will learn from each other if you promote these relationships. Feedback—Allow Experts to offer advice on problems in the classroom and share common experiences and struggles. Before making any dramatic changes in curriculum choices, teaching teams, or classroom assignments, ask for your Experts' feedback. Valuing their opinions and insights will make them stronger team players when changes are implemented. Update—Some Experts may feel close to retiring from your team because they think children today have changed too much since their first classroom of kids. Other Experts are teaching in your children's ministry because they know it's what God created them to do, and they wouldn't consider doing anything else. Either way, Experts need to keep in touch with today's kids. Create a "What's Hot" list detailing the interests of kids in each age group. Include movies, books, hobbies, clothing trends, and other details, with a brief description or blurb about each topic. Give your Experts their own copies of Children's Ministry Magazine to keep them in the know. Better yet, encourage your Experts to survey kids about their interests. Although members of your ministry team have different levels of experience and talents, your training can level the field and help all of them, regardless of their years of service, feel confident and equipped to accomplish the mission the Lord has laid out for them and the children in your church. Your sensitivity to your volunteers' needs and understanding of how to effectively address their concerns and interests will lay the foundation for a strong and effective team that sticks together for the long haul. While many people are willing to volunteer for a year or so, long-term workers are harder to find. What can you do to turn your Rookies and Veterans into Experts? Make a strong start with the following steps. Pray, pray, pray. When facing the challenge of recruiting volunteers and assigning teachers to classrooms, ask God to lead you to the specific people he wants ministering to children. Make it personal. Approach each individual personally, focusing on gifts rather than availability. When you know the specific positions you need filled and the best types of people to fill them, seek out individuals who are good matches—not just warm bodies. Connect consistently. You've only begun your job when your classes are staffed with equipped teachers. Your volunteers need to see your face and hear your voice weekly. Lend support verbally and physically. Offer to serve as an assistant from time to time. Volunteer to take over a class to give a teacher a non-vacation related break. Call, visit, and send notes. Listen as you lead. Ask for input from your teachers about ideas, implementing as many as you can to give them ownership in children's ministry. Offer timely training. Meet in large and small groups throughout the year. Hold weekly or monthly prayer times whenever possible. Develop relationships outside of your roles. Take time to invest in the lives of your volunteers, not just in their ministries. Practice what you preach. Demonstrate the level of commitment you expect from your workers. Treat your volunteers as if they were your class. Be flexible. Keep in mind that children's ministry isn't the only area where your workers are involved. They need personal ministry, time with family, and occasional breaks from the grind. Keep the doors of communication open so you're approachable when your workers need to ask for getaways. Better yet, build into each person's job description a clause that provides for refueling and time off at the end of a yearly rotation. When people know they have a break coming, they're likely to be more consistent.